With plants having their moment right now, there are so many interesting and unique christmas gifts for the plant lover in your life! From a book called 'Prick' to sneakers made of algae, you'll be amazed by this selection! Here's my pick of the hottest Christmas gifts! Dull drawing pins can stay in the drawer! 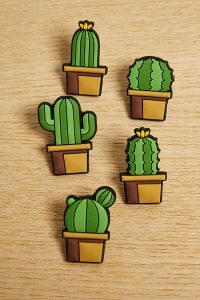 These handsome cactus push pins more than up to any pinning job! Use them for pinning up notes and reminders, they are also plastic and wipe clean. You get 5 cool designs in each pack, they really are the perfect christmas gifts and ideal stocking filler. Who said plants wouldn't grow in your office?? Just £10.00 from Urban Outfitters. Click here to buy. 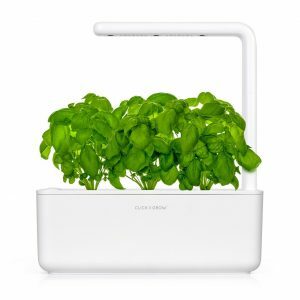 That's it, growing your own herbs and kitchen vegetables is now as easy as pushing a button! This well-designed unit is brilliant for anyone wanting to enjoy their own fresh and vitamin-packed crops in their home. Automated growing; couldn't be simpler! Costs £59.95 from amazon. Click here to buy. The new eco-adventurer sneaker! These sneakers are actually 100% waterproof with breathable, non-absorbent and free-draining material. The material is an algae-based bloom foam, making it the first sustainable alternative to the usual synthetics, and a shoe suitable for vegans. Yes, these sneakers are made of ALGAE! COSTS £60.00 from VIVO BAREFOOT. Click here to buy. 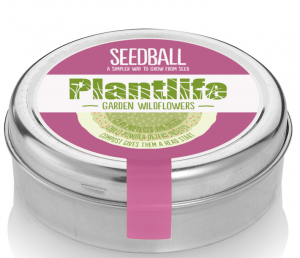 An exciting new collab from the guys at Seedball, each tin of this new mix is stuffed with wildflowers curated by Plantlife. Proceeds will go to establishing a new wildflower reserve in Cornwall. Lovely christmas gifts, they are easy for beginners to grow, and each tin has 20 balls, with 30 seeds per ball. Have you got the balls to give them a go? Just £5.99 from seedball. Click here to buy. 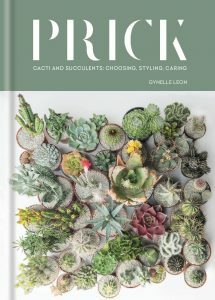 East London cactus shop Prick is the brainchild of the awesome Gynelle Leon, and here she releases her first book, offering the ultimate guide to cacti and succulents. It is beautifully designed, and of use to every skill level. A book called Prick.. I'm saying nothing! just £15.00 from Urban Outfitters. Click here to buy. I think you'll agree these are a bunch of christmas gifts to inspire, and you'll probably end up buying a few for yourself!